Choreographer and producer. Krzysztof Pastor began his ballet training with the Ballet School in his home town of Gdańsk. After his training, he joined the Polish Dance Theatre in Poznań (1975) where he worked with Conrad Drzewiecki, winning the position of one of the company's leading young artistic personalities. Four years later, he moved to the Teatr Wielki of Łódź. In 1983 Pastor became a soloist with Le Ballet de l'Opéra of Lyon in France, dancing ballets by Gray Veredon, Hans van Manen, Kurt Jooss and others. From 1985 to 1995, he danced with the Dutch National Ballet (Het Nationale Ballet), working with many well-known choreographers such as Carolyn Carlson, Nils Christie, Nacho Duato, Rudi van Dantzig, Jan Linkens, Eduard Lock, Hans van Manen, Maguy Marin, Toer van Schayk, Nina Wiener, and Peter Wright. He danced major roles in both classical and neoclassical ballets, as well as modern dance works. Pastor completed his first choreographic work in 1986 for an international gala performance in Łódź. After creating several ballets for the Dutch National Ballet's workshop programmes, in 1992 he was asked to design a ballet for the company's main programme: the successful «Shostakovich — Chamber Symphony». He worked as a freelance choreographer from 1995. In the 1997/98 season he joined the Washington Ballet as its choreographer in residence, and became the Dutch National Ballet's choreographer in residence in the 1998/99 season. Pastor has since gained considerable recognition as an international choreographer, creating nearly fifty ballets to date, including the highly acclaimed Do Not Go Gentle…, and In Light and Shadow; the large-scale, full-length production Kurt Weill, Acid City, Don Giovanni, Tristan, and Dangerous Liaisons"; as well as Symphony Fantastic for the Australian Ballet. In 1995 Pastor's duet Detail IV won the Gold Choreography Award of the Helsinki International Ballet Competition. In 2000 he was awarded the Medal of 200 Years of Polish Ballet by the Ministry of Culture in Poland, and the Dancers Fund'79 Choreography Prize in the Netherlands. His choreographies: «Do Not Go Gentle…» (2000) and Kurt Weill (2001) were hailed in the Netherlands as great artistic events of those seasons, and presented as such at the Dutch Days of Dance. In 2001, his ambitious and challenging production Kurt Weill was also nominated at the Bolshoi Theatre (Moscow) for the prestigious international Benois de la Danse Prize in no less than three categories. 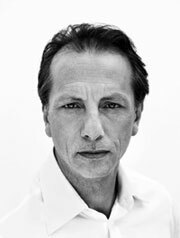 In January 2003, Krzysztof Pastor was appointed resident choreographer of the Dutch National Ballet, sharing the position with Hans van Manen. In this capacity, he created «Si después de morir», Voice which premiered at the Holland Festival 2004, Don Giovanni as well as Crossing Paths, Suite for Two, and Visions at Dusk. In December 2007 he was invited by the Bolshoi Ballet in Moscow to work with the Bolshoi's star Svetlana Zakharova (duet from Tristan and solo from Voice). In May 2008 in Edinburgh with the Scottish Ballet, Pastor premiered his own original, cutting-edge version of Prokofiev's Romeo and Juliet and his pieces Moving Rooms (2008) and Sheherezade (2009) were specially prepared for the Holland Festival premiered with the Dutch National Ballet. His newest work is Dumbarton Dances to the music of Igor Stravinsky in Amsterdam. Alongside his work for the Dutch National Ballet, Pastor has created ballets for many companies in other countries, such as the Royal Swedish Ballet, Bolshoi Ballet in Moscow, Scottish Ballet, Washington Ballet, Ballet Opera Dresden, Israel Ballet, Royal Flemish Ballet, Ballet of the Polish National Opera in Warsaw (Górecki's Third Symphony, 1994), National Ballet of Lithuania, National Ballet of Latvia, Donau Ballet, Ankara State Ballet, Australian Ballet, West Australian Ballet, and Royal New Zealand Ballet. He has also designed smaller choreographies specially for selected ballet soloists. His works have featured in the programmes of renowned festivals: Holland Festival, Holland Dance Festival, and Edinburgh Festival, and also at international ballet competitions, to great critical and audience acclaim. His choreographies have been presented by Het Nationale Ballet during the company's tours of the Netherlands, France, Canada, and Britain. In 2008 the Australian Ballet brought his Symphony Fantastic to its prestigious guest performances in Paris. He has also been invited to be a judge at the International Choreography Competition in Groningen, the Eurovision Young Dancers competition in Warsaw, the New York International Ballet Competition, and the Polish National Dance Competition in Gdańsk.